It's as easy as riding a bike, only now you can float atop the snow thanks to fat tires, easily combining winter adventure with exercise. The Inn at Bay Harbor provides easy access to miles of scenic trails and encourages you to try a favorite summer activity, biking, in the winter! 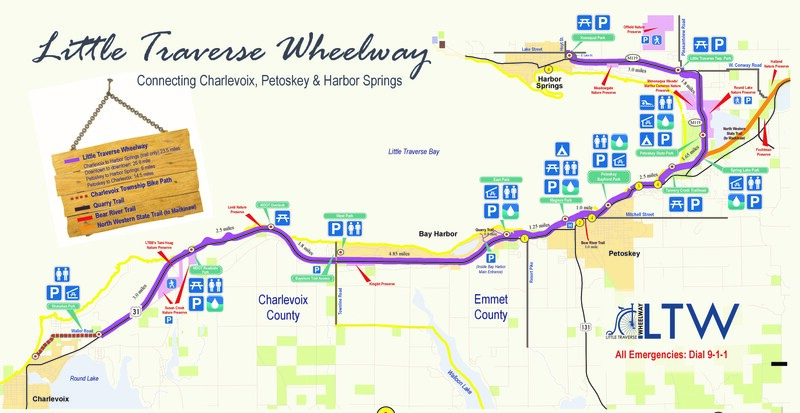 Parking for the Little Traverse Wheelway can be accessed via The Village at Bay Harbor. Contact our Concierge by calling 231.439.4002 or click here to arrange a day of bike rentals from nearby outfitters and take advantage of this unique winter activity.